Your lawyers allowed waterboarding, but going in to rescue hurricane victims... yeah, we're not going there. Your lawyers just like seeing people underwater. Who's your law firm? 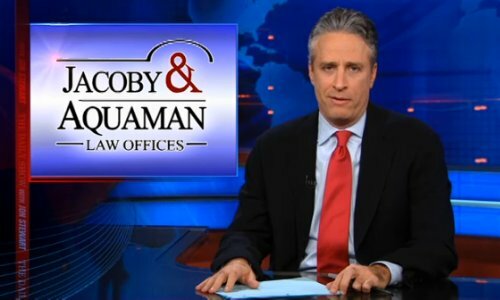 Jacoby and Aquaman? That's good, but not as good as "Rickles and Palpatine." Does anyone see a correlation between this mention and the recent "Smallville" episode that included both Aquaman and Waterboarding? Seems like a subtle jab to me. Seems a bit tenuous to me, but an interesting link nonetheless.